The Occult Turn, a symposium on occult and magic practices curated by Izabella Scott, Leontios Toumpouris and Alessia Zinnari, explores how magic and esoterica have influenced politics, art and history, bringing together practitioners from a variety of backgrounds: academics, creative writers, artists and filmmakers. The day will start with historical perspectives on witchcraft: Stephanie Dropuljic on the legal history the Witch Hunts in Scotland; Izabella Scott on colonial, anti-witchcraft laws exported to the British Caribbean; and Kirsty Pattison on the meaning of ‘intelligent magic’. The symposium will move on to discuss protest and the evolution of magical practices, with a paper on libidinal heathenry by Anthony Carrick; analysis of gender politics in occult bibles by Sophie Sexon; a paper on Occult Buddhism in Modern Burma by Ian Baker; and on the legacy of Cuban-born artist Ana Mendieta by Rosanna Mclaughlin. 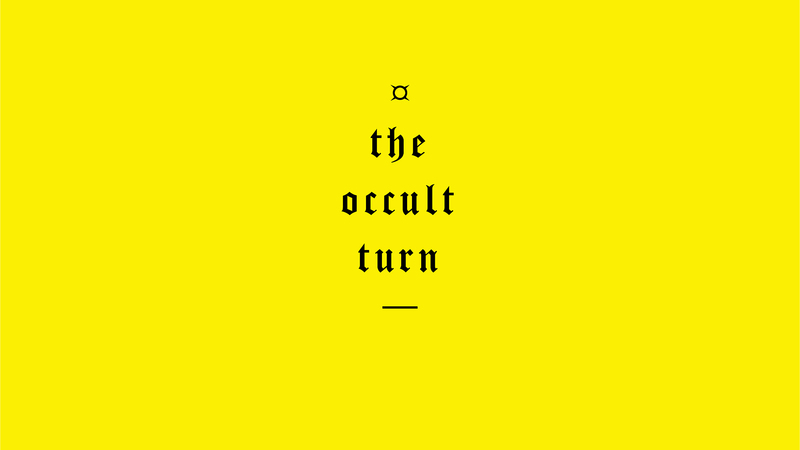 The first half of the symposium will conclude with a panel on occult biographies and the novelising witchcraft, with three contemporary writers: Alfie Prendergast, Tawnya Renelle and Carly Brown. A screening of artists films and a sound performance compose the second part of the symposium that negotiates with speculations and rituals associated with the land, as a signifier of fertility, collective exploration and identity with works by Richard Ashrowan, Adelita Husni-Bey, Hussein Mitha and Susannah Stark, Jade Montserrat, Aniara Omann and Giacomo Raffaelli.